Our site collects personal information from our visitors only on a voluntary basis, and the information is only used by us to process a request that has been placed by the visitor. At this time, this personal information includes your name and email address should you choose to enter it on the “Contact” page. We do not sell or rent this personal information to other organizations. We never sell your email address and if you voluntarily give it to us, we will strive to use it only for what it was intended. If we pass it on, it would only be to the committee or person who has the information you desire. All of our site is accessible to visitors with the exception of a members-only, password protected section. We do not require personal information to obtain access to any open part of our site. 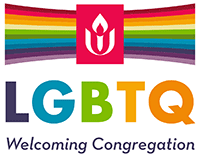 Our website contains some hyperlinks to websites operated by parties other than Aiken Unitarian Universalist Church. These hyperlinks are provided for your reference only. We do not control such websites and are not responsible for their contents or privacy policies. The inclusion of hyperlinks to other websites does not imply any endorsement of the material on these sites or any association with their operators.